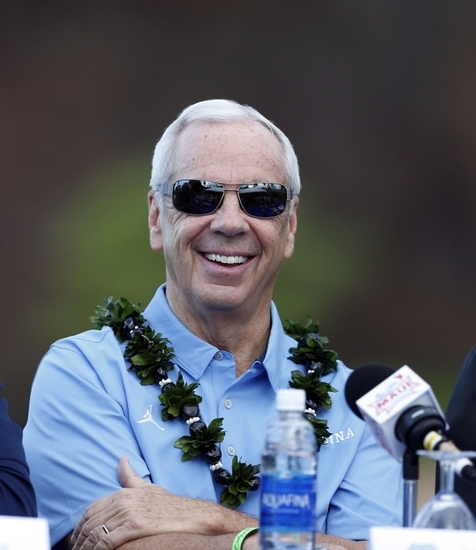 UNC takes on Chaminade in the first round of the Maui Invitational. What do we need to know about the Silverswords? In 1982, Virginia was the number one team in the land. 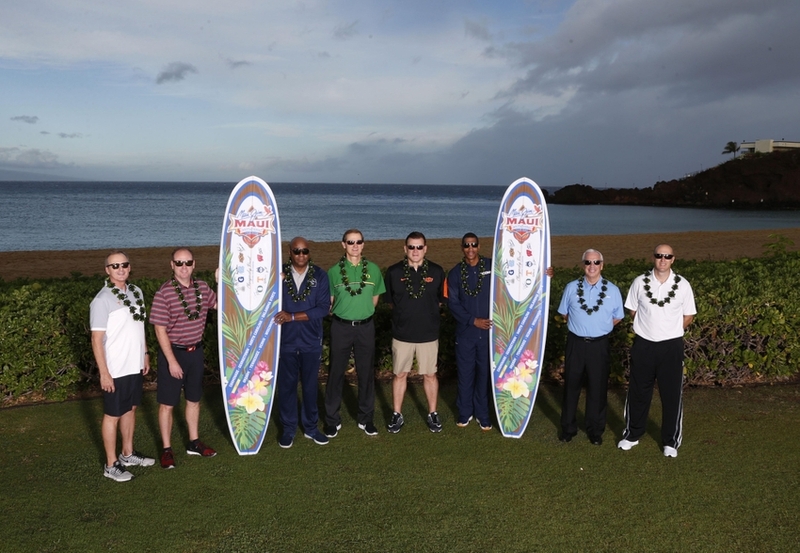 They had Ralph Sampson and Rick Carlisle and decided to take a trip to Hawaii. There they came upon this little team from the NAIA named Chaminade. In what is considered the biggest college basketball upset of all time, the school from the NAIA upset the number one team in America 77-72. Someone suggested they do this every year and the Maui Invitational was born. UNC opens the Maui against Chaminade, so what do we need to know? Head Coach: Eric Bovaird. 71-65 entering his sixth season as Head Coach of Chaminade. The best coach in Chaminade history is Merv Lopes. He went 237-119 in 12 seasons with the Silverswords and was coach during the upset of Virginia. Conference: Pacific West. The Pacific West is a Division II conference. It currently has 14 members, four of which hail from Hawaii. Chaminade went 10-10 in the conference last season finishing eighth overall. This Season: The Silverswords started this season 2-0. They won both their games in the PACWest/GNAC challenge. Both wins came against schools from the great state of Alaska. They are averaging 86 points a game. Though the host, this is not Chaminades main stadium. They play in Honolulu and will not play their first true home game until November 30th. The senior guard is averaging 20 points, four rebounds, and one assist per game. He is also a 6’7. In the Hawaii preview, I mentioned what 6’7 guards have done against UNC this season and said to be wary of Nate Allen. Allen responded by going for 22 points against the Heels. Carolina needs to know where Shastri is at all times. Isaiah Hicks has patiently waited his turn at UNC. He has now been given the chance to shine and run with it. He is an alley oop highlight real waiting to happen. Hicks helped the Heels in their game against Hawaii. He went for 16 points, including several devastating dunks to take the crowd out of the game. The more he plays, the more he resembles Brice Johnson and that’s good news for Carolina fans. 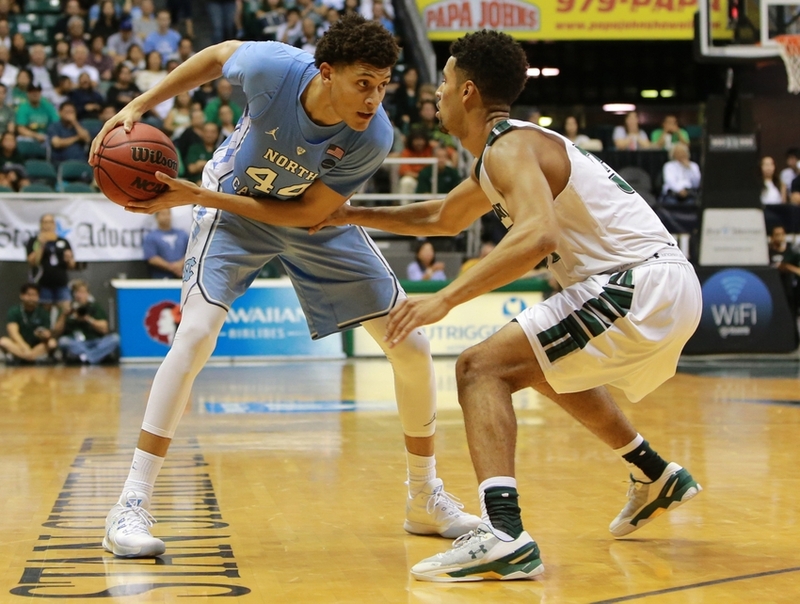 Will UNC find their range in Hawaii? UNC’s first game on the islands was not one to remember. As a team UNC shot 8-21 from three point range against the Rainbow Warriors. That includes a 1-10 spell from Justin Jackson and Joel Berry II. Those two were the top two UNC distance shooters going into that game. They may not need it against the Silverwords but an early barrage of threes will go a long way to helping the Heels win this tournament. Will Seventh Woods finally get a dunk? Woods entered North Carolina as a internet sensation. His highlight reels raised the question if he would be the next great dunker at UNC. So far he is 0-2 for dunks and his attempt against Long Beach State made the Not Top Ten this past Friday. Woods has been active on steals. It just takes one right move and the right leap and he could bring down the house at the Lahaina Civic Center. Will a Tar Heel record a triple double? Kennedy Meeks has blessed the Heels with several double doubles this season. Joel Berry is averaging 16 points, 4.8 assists, and 4.5 rebounds. Those seem like the two most likely candidates to do something special in Maui. The competition is right for something like a triple double, the bigger question is will either get the minutes to achieve the feat? Final Score: 95-60 North Carolina over Chaminade. Forget the size factor, the talent level, and the overall depth, though they all lean the Tar Heels way. UNC will win this game because they are focused and on a mission after the heart breaker in last seasons NCAA tournament.